I’ve decided to make a few entries in each corner of the world I visit to address a question that I pondered frequently before leaving home to travel for the first time. 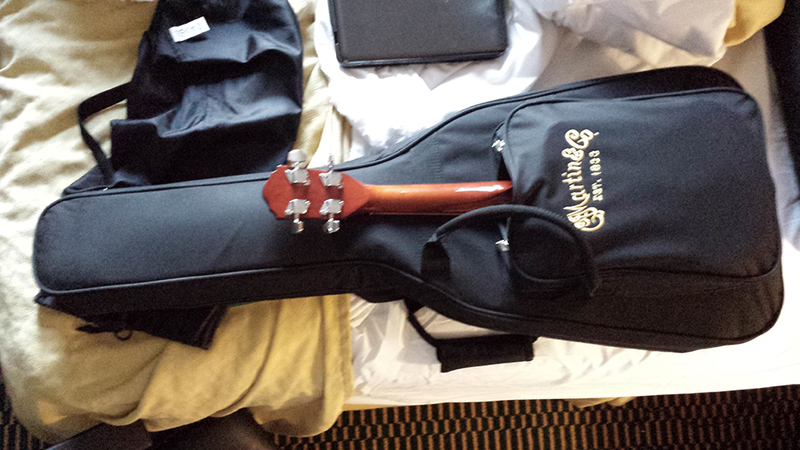 What the hell am I doing to do with my guitar while I’m traveling? Can I lock it up? Will it always be in the way? Summarized: How can I travel with my guitar in Europe? Hopefully this will help those are are getting ready to undertake a trip through Europe with a musical instrument as well. • Can You Lock Up Your Instrument When You Leave a Hostel/Hotel Room? We’re going to focus on hostels here since you can obviously lock up a hotel room. The short answer is almost always. Now what kind of security you actually get is what varies. Some hostels in Europe have lockers, although they are very rarely large enough to fit a guitar in, especially alongside all the other valuables you would like to lock up. However at the same time, most hostels also have a larger area where you can keep things, the only downfall to this option is that it’s technically accessible by anyone else staying at the hostel. I generally don’t bother with either. Most of the time, you’ll have nothing to worry about. Just slide your guitar under your bed when you leave, and it will be there when you get back. Something that large would be hard for someone to steal, not to mention it’s highly doubtful that they would want to lug it around. Save the locker for your more at-risk items such as computers, cameras and cell phones if you’re not taking them out with you. • Do Airlines Charge Extra for Taking an Instrument? This will largely depend on your particular baggage situation. Most airlines allow you to take your guitar as a carry-on item, however you are generally restricted to one free carry-on item per person. I solved this problem when traveling with friends by using one bag as a community carry-on and taking the guitar for my own carry-on item. If you’re traveling alone this could get more complicated, but there is always the option to just use the pockets on your guitar case (we’ll get to that later) to store things for your flight. Long story short, you may have to sacrifice some comfort on the flight to bring along your six-string travel buddy. 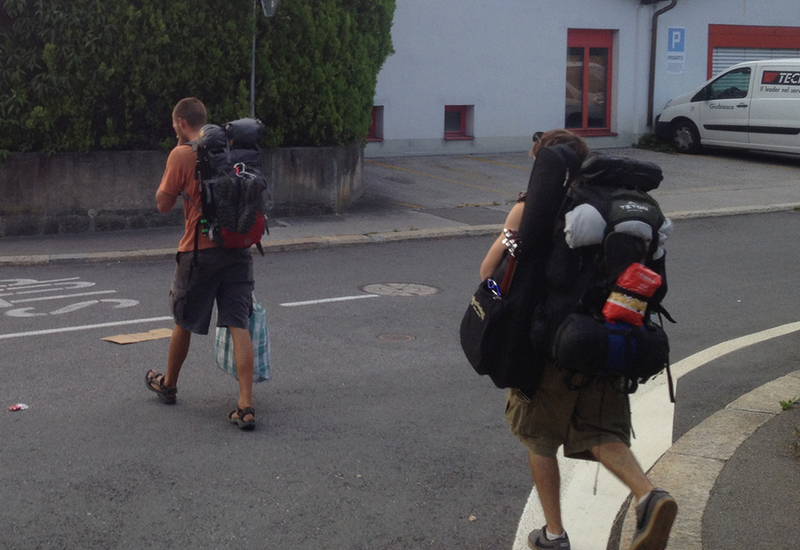 • How Will You Carry a Guitar While Backpacking? • Should You Buy a Travel Guitar? I think it’s a good idea if you’re going to be traveling any longer than a couple weeks. I carry a Martin LXM “Little Martin” which is both small and lightweight. Martin also makes a “Backpacker Guitar” which I own as well. I use it for camping, canoeing, or hiking trips back home. I wouldn’t recommend it for anything other than that. The sound of the LXM Travel Guitar is highly preferable, and stays in tune much better, plus it comes with a free soft case! The lower size and weight over a traditional guitar make a huge difference, especially when backpacking. I am continually grateful that I decided to buy one last-minute in New York before I took my first flight overseas. • What Kind of Case Should You Use? • Is It Even Worth It? YES. This question never even entered my mind. For myself, it was a must. Traveling with a guitar in Europe really isn’t that much of a pain at all. The positives are many, but the two biggest for me are: being able to make money if need-be and MEETING PEOPLE. 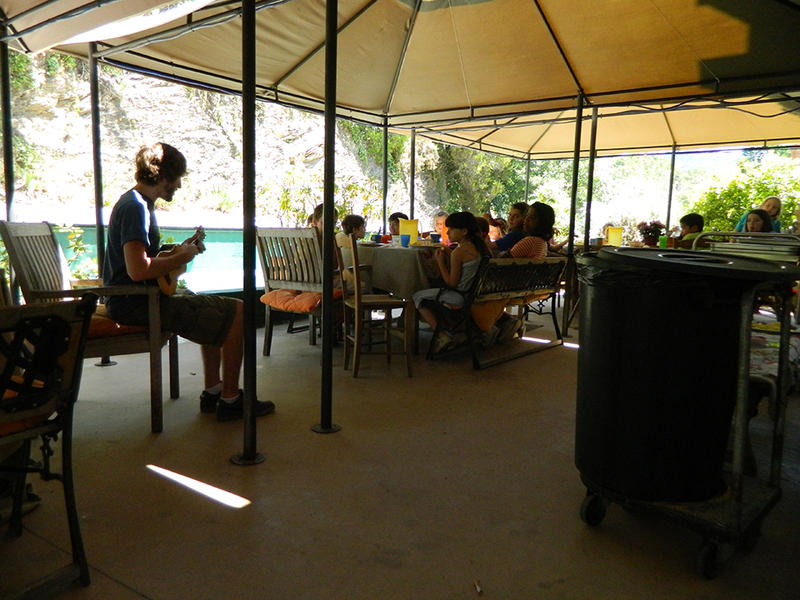 There were many times during my travels that have just been sitting by myself playing guitar, and the next thing I know someone asks me to join their table and play them a few songs. Next thing I know, people are handing me beers, cigarettes, even buying food for me! And you’ve instantly became friends with them… and don’t get me started on the girls! The former of the two positives can have endless benefits. My guitar and a friend with a cajon drum saved our asses in Europe financially. 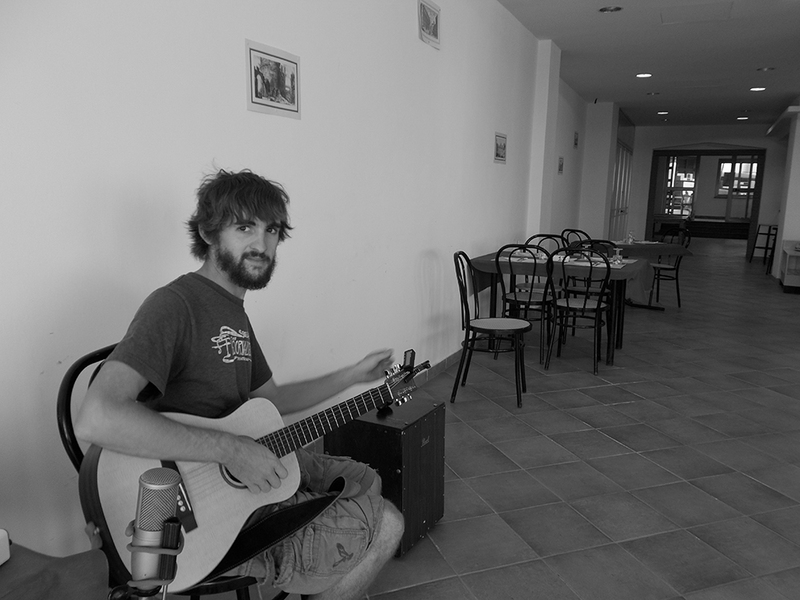 I managed to make over $600USD in three weeks in Italy from playing music alone. This can be a huge deal on a shoestring budget.